I set out this morning with the intention of resuming work on my ‘long short story’, yesterday having been taken up largely by ‘chores’. On the two or three hundred paces from where I can park the car to my ‘early morning’ haunt, Wetherspoon, I pass a few shops and was stopped by a ‘Dansette’ in the window of one of them, straight – it seemed – from the era of my story. 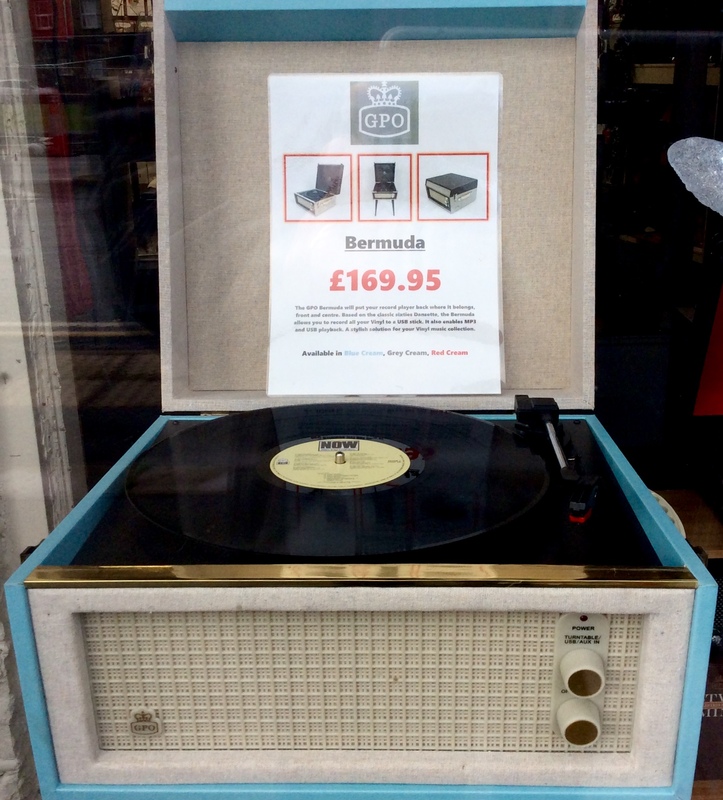 Of course it was not (though you can still buy the genuine article in Leeds market – I’ve often been tempted), the disguise pulled off by “allows you to record all your vinyl to a USB stick”. A USB stick has typically millions of little electronic switches, flip flops we used to call them; I remember being proud of making just one, the size of my little finger nail, at the request of my then director of research who asked for it to be “as small as you can possibly make it”. 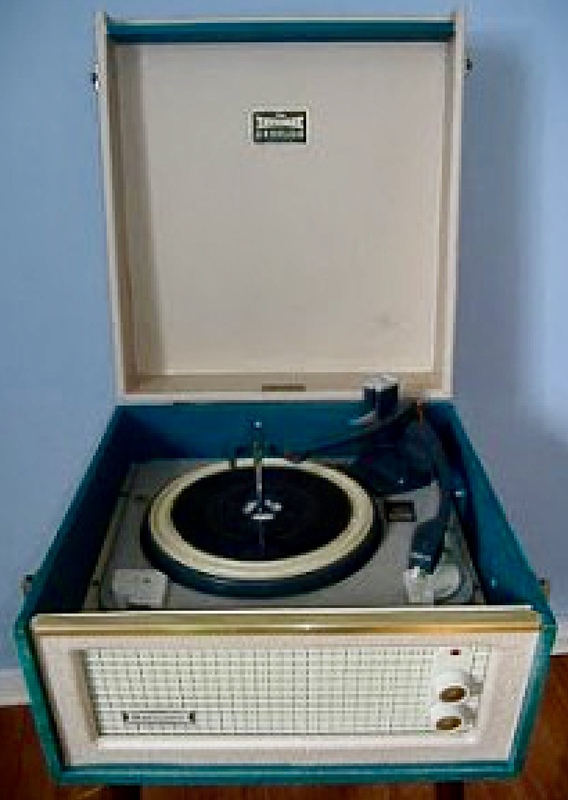 That was less than ten years before the time of my story, when I did own a model of this portable record player. The Dansette features in my story; in some ways it is a principal character. Now if the offer recently from my dear friend Iulia (teacher of English, poet, writer and blogger in Bucharest) to read a draft of my story when I’ve knocked it more into shape were not enough motivation to work on it (it is), then that ‘Dansette’ should set me off. Good luck with getting back to it! Thank you, Roger! 😘 I look forward to reading more!